McKay Club sweeps Stoneham 2-0 to clinch a slot in the Semi Final Series. 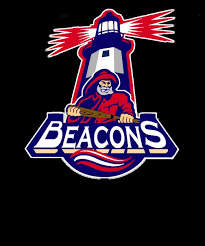 The Beacons scored 7 unanswered runs in 3 innings. Stoneham stormed back to make it a game plating 4 in 5th. But, McKay scores 2 insurance runs in 7th to hold on and win 9-5. Matt Costanza belts a walk off homer deep to center to help McKay Club defeat Stoneham 3-2 in 8 innings. 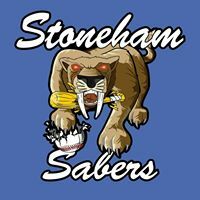 Lenane had 3 hits and 2 RBI for Stoneham. Sean Curtin had 3 hits and 3 RBI and Shawn Callahan had 2 hits and 3 RBI for Stoneham. Tommy Lenane records his 100th career YBL hit in the win. The Saints got on the board first in the 4th. A Downing triple, led to a Wessman sac fly. The Sabers would battle back in the bottom half. After a Powers' walk and a Chapman single, Colucci would hit a 2RBI triple and he later scored on a wild pitch. Lumb earned his first win of the season tossing 5 strong innings, striking out 4. Powers would earn the 6 out save, striking out 6 of the 7 batters he faced. Mogauro and Rice get Sabers rally going in the 3rd. Pizarro and Powers with the RBIS.